At De La Paz, we specialize in both contemporary and traditional landscape designs. If you are looking to transform your current property into a serene living space, you have come to the right place. 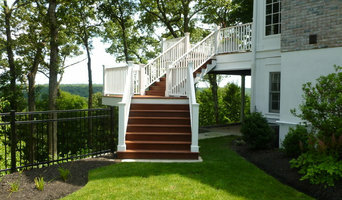 At Green Jay Landscaping, we believe the great outdoors are essential to the human experience. We design, build, and maintain gorgeous landscapes that invite your interaction with nature. With over 30 years of experience, our expertise ranges across design master plans and estate management, to planting designs and hardscaping projects. 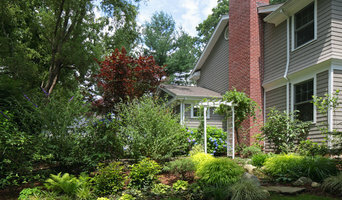 Designed with ecological principals, you will be awed by the abundance of birds and butterflies visiting your backyard! ✖ Where Design Meets Ecology ✖ We Specialize In: •Water Features and Natural Swimming Ponds (cleaned with plants, not chemicals!). Water adds a vibrancy of sound, motion, and activity to your garden, AND supports a new spectrum of biodiversity through aquatic plants and the addition of fish, frogs, or turtles! •Organic Lawn Management and Plant Health Care. We never use synthetic chemicals to treat or fertilize your property. Our careful selection of organic fertilizers and pest-repellents, coupled with an eco-systemic approach, makes your yard safe for family and pets, so you can get out there and enjoy it! •Native Plant Pollinator Gardens – often these are lawn removal projects, and the transformation is truly remarkable. See our "Rethinking the front lawn" project for photo evidence! By choosing native plants, we invite a host of local beneficial insects, essential pollinators, birds, bats and more. Watch as your property becomes a wildlife habitat thriving with biodiversity! •Natural-Stone Patios, Pathways & Stairways – Our designs draw inspiration from nature: rugged stone steps accented with boulders and native woodland mosses. Whenever possible we use natural resources harvested from the property. •Drainage & Grading – the impact of mismanaged drainage on your property can be drastic. GJL employs a variety of bio-engineering techniques to redirect stormwater responsibly and effectively. Rain gardens are a beautiful way to capture runoff productively on your property. We pride itself on conceiving landscapes that address both the art & science of design. Our commitment to a client is that we bring insatiable passion from Good Gardens to yours. Takumi Design LLC specializes in designing and creating highly stylized landscapes for outdoor and indoor environments. Established over 50 years ago, Morano Landscape Ltd. is a family owned and operated company based in Mamaroneck, NY that takes pride in offering superior quality products and services. Carriage House Gardens was an idea crafted five years ago by two landscape architects that fully integrates experienced landscape designers with plant procurement specialists and proven contractors that will turn your dreams into reality and create that personal oasis for your family and friends. Outdoor spaces enhance and enrich our lives. We create gardens of understated elegance by integrating classic design principles that emphasize a heightened sense of color and texture. Breath of Spring is a landscape, design and installation business. Ann and her crew of 12 excel at site development. There is very little they have not seen and conquered. Westchester Landscape Designer Best of Houzz 2019 Award Winner! We design high-style, low maintenance gardens, so you can spend more time enjoying your property. 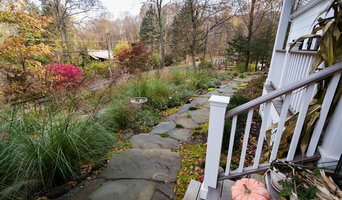 Michael has provided landscape design services in Westchester for over 50 years. With a business built on family tradition and commitment, Michael strives for client satisfaction on every project. We are a small design firm that provides professional design services for clients, architects, builders and homeowners throughout the Northeast with many projects in the Westchester County and Fairfield County area. We provide personalized garden designs, landscape architecture, site planning, garden designs, custom swimming pools, permits, wetlands and conservation approvals, new home site development and more.